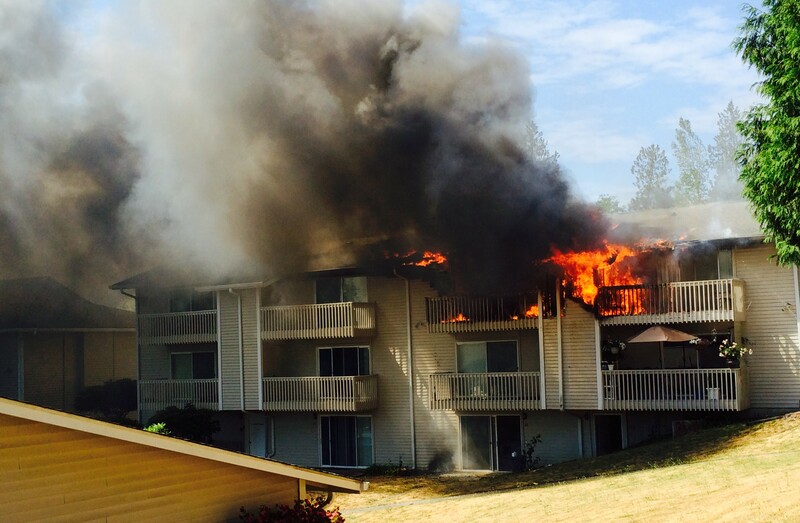 A devastating fire ripped through one of the buildings at Manette’s Edgewood Villa apartments on Monday, leaving 16 people without a home, the Red Cross says. 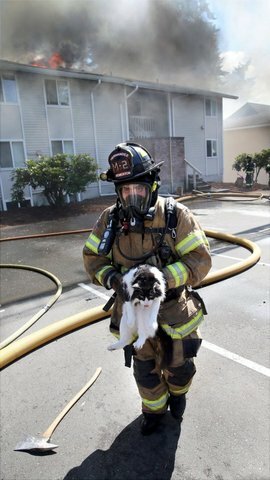 The cause of the fire has been determined to be discarded cigarette butts left in a cardboard box on one of the balconies, according to Bremerton Fire Marshal Mike Six. Many people have asked me how they can help. I’m compiling a list of resources here so you can contribute on your own terms. If I have forgotten any, please go ahead and drop me an email at jfarley@kitsapsun.com. I’m hearing food and toiletries are more important right now than clothing and furniture. The Red Cross is also working to coordinate plans for donations. They were able to help two of the 16 with shelter last night at Peace Lutheran Church, and supported 11 families financially to get lodging, according to Dave Rasmussen, disaster program manager. The Manette Neighborhood Coalition has set up a GoFundMe site where you can contribute financially. The Allstate Insurance office of Betty Skinner, 4181 Wheaton Way, Suite one, is accepting donated items to give to the fire victims. Clothing, personal toiletries, gift cards and more will be accepted. Open regular business hours. For more information, call (360) 479-9850. Rejuv Salon & Spa,1007 Scott Ave. Suite B, is also a “drop spot” for clothing, linens and other donations. It’s open 10 a.m. to 8 p.m. through Thursday; 10 a.m. to 6 p.m. Friday and Saturday. Their phone number is (360) 405-0293. If you’d like to stick to donating to the Red Cross, Rasmussen told me you can call their Bremerton office (811 Pacific Avenue) and they’ll make a list of everyone who would like to donate. Rasmussen emphasizes that financial donations are of critical importance, as they help families just like the ones at Edgewood Villa get immediate housing, clothing, food and supplies. Their phone number is (360) 377-3761. Newlife Church in Manette will host a free community dinner at 5:15 p.m. Saturday at Mountain View Middle School. All donations will be donated to the fire victims. Facebook has the details.